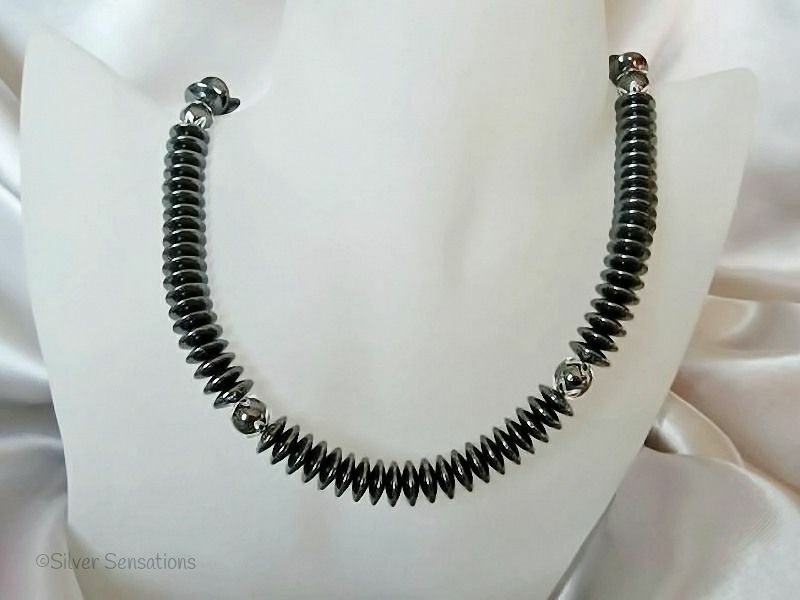 This handmade chunky Hematite necklace features Hematite disc beads which are 10mm across. 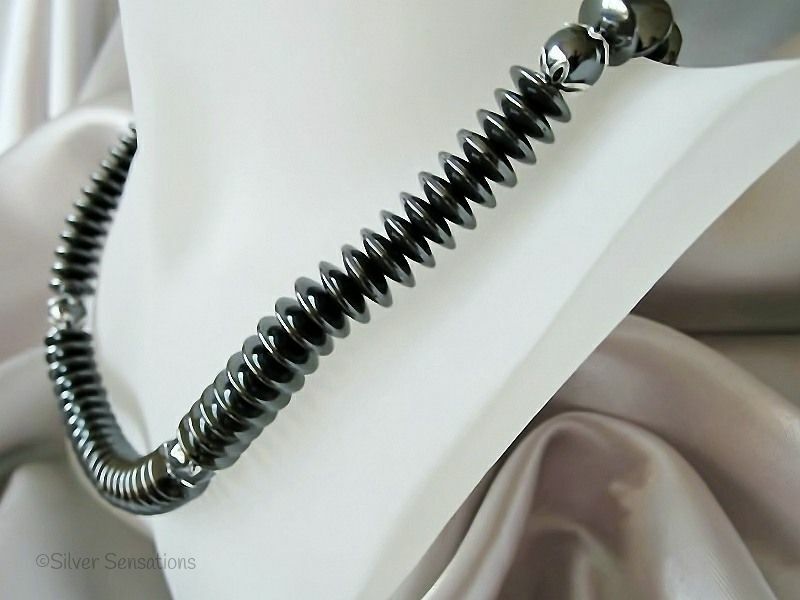 There are stations with round Hematite beads which have a very pretty Sterling Silver beads cap at each side of them. If you want bold & chunky then this could be the one for you as it is quite heavy. Could be classed as a unisex necklace. Please remember that chunkier necklaces do wear a little shorter than their actual length.